The time of speculations is over! Google has officially announced the name of Android N, that’s Android Nougat. The Twitter handle of Android has tweeted,”Introducing #AndroidNougat. Thank you, world, for all your sweet name ideas! #AndroidNReveal”. Google released the preview version of Android N way back in March, but there was no clue what the name will be. In May, at the Google I/O Developer Conference, Google officially announced Android N coming soon. At that time, the company asked for user suggestions of names. Users across the world came up with amazing name ideas and Google has chosen the name Nougat. 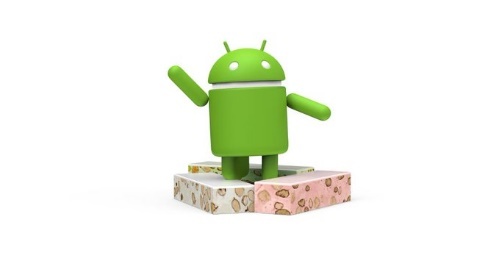 The company, however, has not announced the version number but a leaked information states that Android Nougat will be Android 7.0. The new Android will start rolling out by next few months. Android 6.0, that’s Android Marshmallow has reached only 10.1% of the Android devices and at such a point of time, release of a new version will not only harden the competition for Marshmallow, but also create a barrier for it. It’s to see how Google balances both the Android versions.